The Travel Company Edinburgh is a leading Travel Management Company offering online and offline solutions for businesses seeking travel services from a team of professionals. Our skilled team boast years' of experience which means your travelers are safe in our hands. We offer a comprehensive service and work with you to make it as easy as possible for us to work together. Please contact us to discuss your requirements. If you are unsure of why you should appoint us as your dedicated travel management company please find below some of the key questions many businesses ask us when they first enquire. The answers below should give you an insight in to our company and help you make the decision to appoint The Travel Company Edinburgh as your travel management company. Why should you appoint the Travel Company Edinburgh as your travel management company? We are an independent agency which means we give you impartial advice and recommendations and our highly experienced team provide you with a bespoke personal service which is tailored to your requirements. Quite simply, we take the stress out of travel for your travel bookers and travelers and often saves you money in the process. We manage your business travel requirements. We make reservations for your travelers but we can also help you gain control of your spend and help you identify trends in your business travel and identify cost savings. In addition, we can register your business for eligible reward schemes helping you to make gains from every penny you spend. How do you start working with us? Simply give us a call or send us an email and we can arrange an appointment to come and meet you. We are happy to travel to you wherever you are based so if you are in across the UK or across the globe please still contact us. Location is no barrier to our relationship. We have highly experienced travel consultants who can manage even the most complex of itineraries making your travel simple. 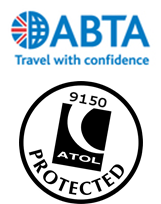 We can provide you with accurate reporting of your travel including key destinations, your preferred airlines, hotels and car rental companies plus analyse this data to recommend where cost savings could be made i.e. setting up negotiated rates at your most popular hotels. Monthly invoicing. We pay for everything on your behalf and bill you once per month which should help your cash-flow. We can even arrange bill backs for meals and additional hotel services such as parking which means that your staff do not have to pay while traveling and then claim expenses.